This year Sto. 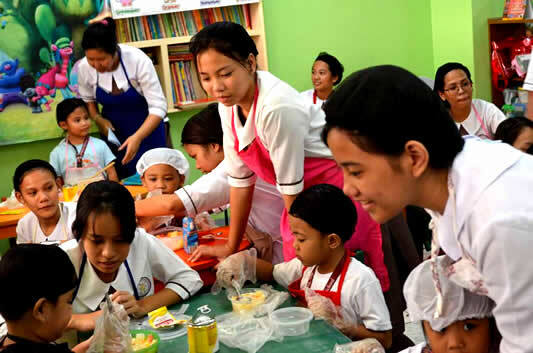 Tomas de Villanueva Parochial School thru the Guidance Program and Services rise up with the call to educate students concerning prevalent issues about gender sensitivity. Mrs. Maria Elizabeth S. Aragon, a former teacher, college instructor, life coach, guidance counselor and an advocate of providing seminars to different institutions was invited to be the resource speaker to discourse awareness about gender issues. Her objective is to educate and promote respect for equal valid roles of male and female play in their families, school and society. The module developed by Mrs. Aragon envisions to enlighten the students while putting emphasis on values formation relevant to the topic. The developmental seminar series were divided into two days in different sessions and topic per grade level. 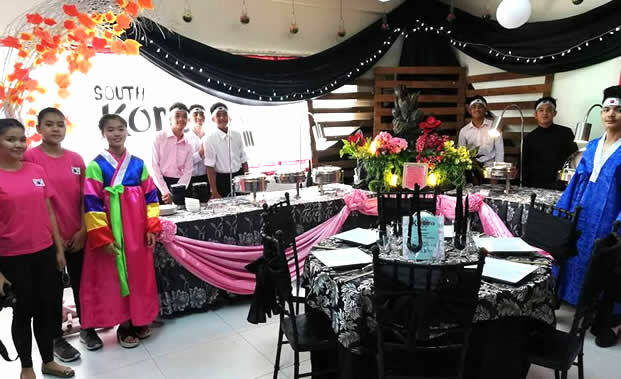 The first part happened last July 31, 2018 participated by Grades 7 and 8 students. The second part were joined by Grades 9 and 10 students last August 1, 2018. 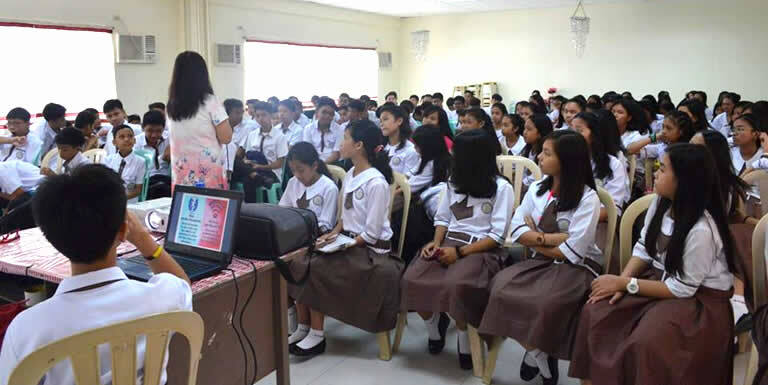 The title for the seminar of Grade 7 was “Bloom: Learning to Love the Soul” - this topic focused on their journey as they start to explore their junior high school year and to make realization that their journey in high school must focus on blooming for the real purpose of their life. The speaker highlighted ways which will help the millennials to give importance on family, school and faith while dealing with the challenges and demands of teenagers. Grade 8 with the topic Shenghou a Korean word meaning Life concentrates on the discussion of Amoris Laetitia the post-synodal apostolic exhortation by Pope Francis addressing the pastoral care of families. The topic deliberates cautious discussion about teenage sexual development, sexual pressure and sexual orientation with balance on purity and positive response of the youth towards the concept of moral relativism. Whilst the Grade 9 students inscribed the teachings of Pope John Paul on his “Theology of the Body” which visualize students in creating the vision of their purpose through the topic Canvas of Life. 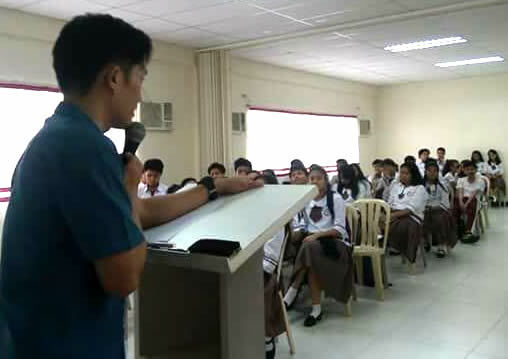 The speaker also discussed the fears/phobias of the young generation to be responded by St. John Paul II's teachings that uncovered students’ consciousness. Finally, the Grade 10 students were educated through the topic of The Gift of Human Sexuality that gives indulgence with creation and values of life. In accord with the topic, the speaker also discussed Pope Francis’ guide to avoid Throwaway Culture, that challenges the young generation to shun the pop-culture and quest for more, in favor of solidarity; and have sight to what really matters. The developmental seminar series also expresses about the beauty of one’s body, self-awareness, uniqueness of one’s life, value of creation, nurturing sanctity of life, marriage and family life. 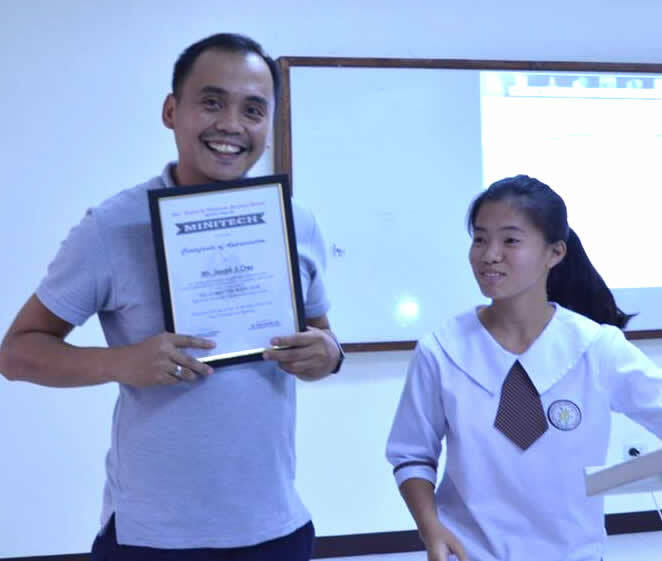 As the seminar was done, Certificate of Appreciation was presented by Ms. Carleen Anne M. Huab-Guidance Counselor, together with Franzelle Caeg-SSG President (for Day 2) and Clarenz Eugenio-SSG Assistant Secretary (for Day 1). Through the years, the TLE and Computer Department has always been successful in conducting its events in the TLE/Computer month. 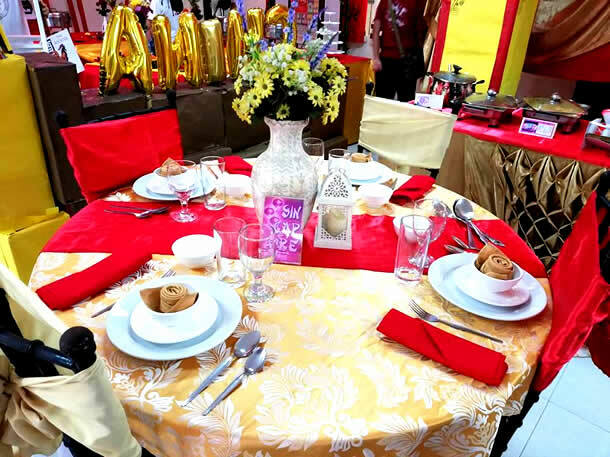 Last month, the department held its annual culminating event. 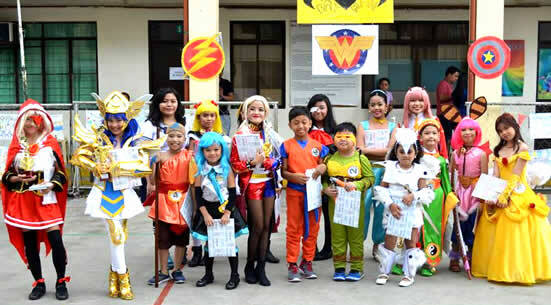 The STVPS students showcased their talents in cosplaying, cooking, and providing services to their fellow students and their teachers. The Preschool, Elementary and Junior High School students have their own contributions to the said event. The preschool pupils happily engaged themselves in salad making. 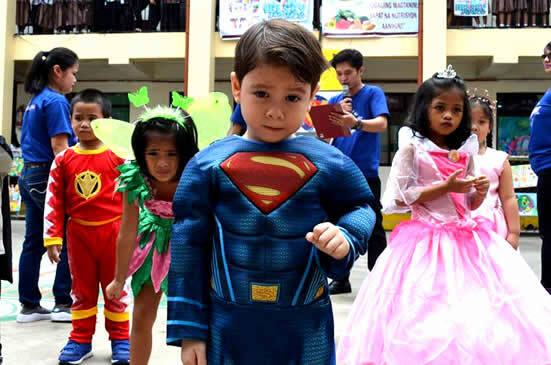 They also joined the costume play contest (Cosplay) together with the elementary students wherein they showed and acted their chosen characters from different shows and games. Truly, each of them slayed his/her ramp using colorful costumes. The Ministry of Technology had their first general assembly in which they elected their officers and planned their activities. In addition, they conducted their seminar/workshop entitled “Basic Photography/Taking Care of Gadgets” – the do’s and don’ts. For the High School students, there were different activities assigned. The Grade 7 and Grade 8 students joyfully participated in the Poster Making Contest. Each group in various grade levels made an eye-opening poster expressing the theme of "Ugaliing Magtanim, Sapat na Nutrisyon Aanihin". 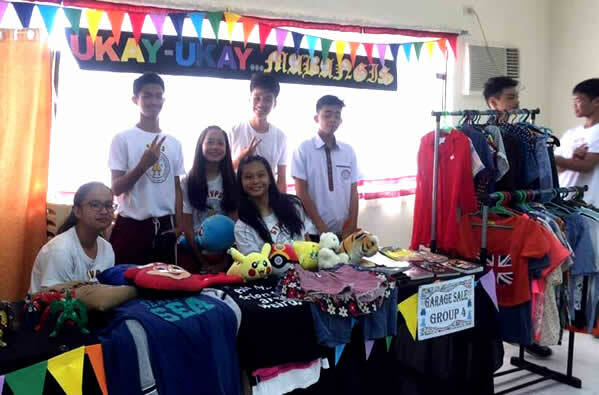 Moreover, the Grade 9 students conducted their Trade Fair which includes Food Bazaar, Garage (Ukay-Ukay) and different services: hair coloring and braiding as well as body painting. The Trade Fair activity showed that STVians are not just great in academics but they also have excellent future in being enthusiastic entrepreneurs. The Grade 10 students also displayed their talent in cooking in this year’s Cook Fest. They have showed eminent effort, notable skills, and remarkable cooperation throughout the competition. Different groups made authentic designs which represent their chosen countries. Lastly, participants from the Elementary and High School Department joined the Computer Games Competition. The students did their best to win and to cooperate with one another. 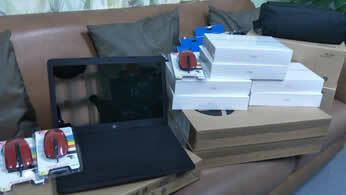 Last July 27, 2018, 6 iPaDs and 2 laptops were loaned to school personnel of STVPS. Hoping to upgrade the delivery of learning, iPaDs and Laptops were loaned to interested personnel to be paid for 12 months and 8 months for tenured and non-tenured employees respectively. One of the applicants cited that the use of these gadgets intended for classroom instruction will provide an opportunity to present the lesson in an interesting manner for students’ better understanding. Several classrooms were equipped with LED TV making the presentation even more interesting, technologically updated and educationally innovative. Furthermore, the school purchased additional projectors for classroom instructions. Indeed, technology rocks the classrooms seriously!!! 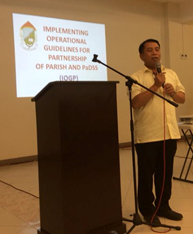 Dr. Leo B. Galve, one of the proponents of Parish and School Partnership, was invited to present the Implementing Operational Guidelines to Sta. Rosa de Lima Parish Pastoral Council Officers and the Sta. 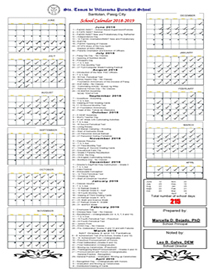 Rosa Catholic School Personnel last July 16, 2018. The manual which was conceived and drafted last November 7, 2016 with the school directors and the parish priests of the Diocese of Pasig came to being after several revisions to ensure its validity and applicability to both parish and the school. Present during the presentation was Rev. Fr. Arnold Eramiz, Parish Priest and Chaplain of Sta. Rosa de Lima Parish and Sta. Rosa Catholic School, Rev. Fr. Orlindo Ordoña, PaDSS Superintendent and School Director, Dr. Sonia B. Sanchez, the school principal, the Parish Pastoral Council Officers of the Parish and all personnel of the school. Dr. Galve said that for the first time, the manual was presented to both parish and the school altogether. The presentation hopes to establish clear parameters of partnership between the parish and the school and vice-versa. After the talk, delectable snacks were served. STVPS through the PAC empowers the parents to be effective partners in the education of their children. The Core Officers are elected every year to represent the parents. Parent Representatives from all levels who comprise the PAC and the Core Officers of SY 2017-2018 attended the First Meeting held on Saturday, July 14, 2018 at 8 am. Registration of Attendees started at 7:30am. To offer the meeting to God’s glory, an Opening Prayer was led by Mrs. Susan Tagle, Sgt-At-Arms 2017-2018. Dr. Marcella D. Bejado, the school principal, presented the parenting objectives prepared by Dr. Leo B. Galve. She also presented her own thoughts of the PAC and the School Theme for the year. The previous officers were called upon by the former PAC Moderator, Ms. Maria Lucia Cruz. They took the floor and thanked the PAC for the year that was. The meeting then proceeded to the Election of Core Officers for the SY 2018-2019 headed by the current PAC Moderator Mrs. Susana S. Nahag. Nominees and electees were from the core officers of the previous school year and the class representatives of the current year. After the elections, Ms. Mary Claire Roque, the Master of Ceremony presented the new set of officers for the SY 2018-2019.